Osaretin Taye Elizabeth Okao is the founder of Vegetalfoods bringing with her over 20 years’ experience in the Catering and Hospitality industry in Lagos, Nigeria. Osaretin has focussed her energy, experience and diligence into this business through wish she offers a carefully selected range of products. 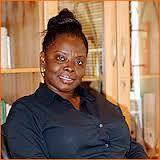 Osaretin knowledge is enriched by her over 20 years in the industry and trainings from Nigeria, UK and Switzerland. She is passionate about good food, quality standards and exceptional service. Osaretin is a natural teacher, and with her team, look forward to an exciting phase in creating a new category of convenient foods in the food space.